At the start of its fourth season’s second half, Fear the Walking Dead sets a higher bar in terms of the degree of difficulty facing the show’s ever-changing roster of characters in their quest to survive. 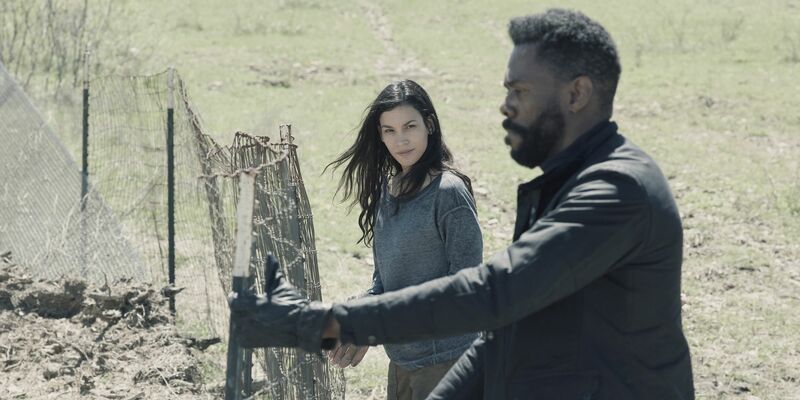 The Walking Dead spinoff continues to evolve under the stewardship of showrunners Ian Goldberg and Andrew Chambliss, who haven’t been shy about making big changes to the show, whether they be in terms of its location or its cast. In the first eight episodes of their term, the pair have re-established the series in Texas and managed to kill of two original cast members, first by eliminating Frank Dillane’s Nick in a surprising moment and then later by revealing the death of Kim Dickens’ Madison — who had grown into the equivalent of Rick Grimes during her three and and half seasons. 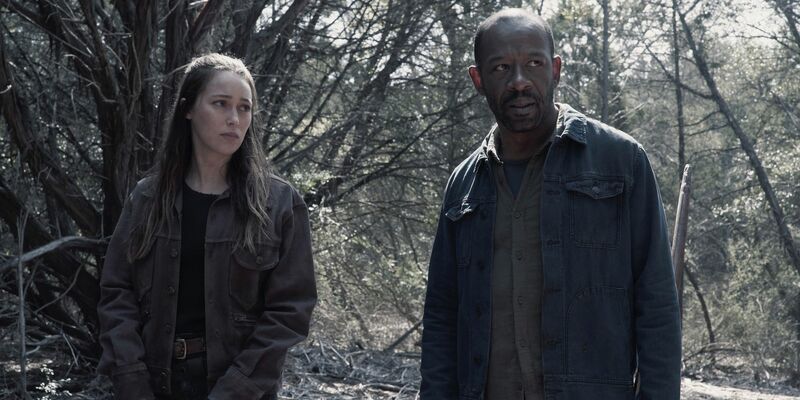 As with most changes, those effecting Fear the Walking Dead’s core cast have been severe, but the trade off was a more or less reinvigorated show, one with Lennie James’s Morgan at the helm, and Garret Dillahunt, Jenna Elfman, and Maggie Grace in strong supporting roles. That leaves Alycia Debnam-Carey, Colman Domingo, and Danay Garcia almost as artifacts of the show’s past seasons. So, since the still-nascent Chambliss-Goldberg era on the show has been primarily about sweeping change, it’s fitting that the second half of their first season would kick off with a hurricane. Still, ’People Like Us’ is a surprisingly low-key episode, considering it begins with the incredibly amusing sight of the undead being blown around like dead leaves on a blustery day. It’s difficult to tell whether rotting corpses flying down the road or, later, into Althea’s heavily armored truck is meant to be an ominous sign or as silly as it looks on screen, but either way, hats off to the show’s writers for literally bringing in a force of nature to make an already difficult situation even more challenging. What makes the episode so muted, however, is that, despite everything that unfolded over the course of the first eight episodes, Fear the Walking Dead again finds itself at a pivotal team-building stage. With Madison gone, there is a leadership void on the show, one that Morgan is clearly fit to fill. That as much is made clear when he extends an offer to the survivors to join him in his planned excursion back to Alexandria. Everyone has his or her own reason for not wanting to make the zombie-riddled journey halfway across the country, and Goldberg and Chambliss have at least given Dillahunt’s John a solid excuse in that he’s still recovering from being shot. For the rest, the decision not to go is a mix of familiar Walking Dead character tropes: they’re either too consumed with grief, determined to do something foolish all on their own to prove some point or another, or, in the case of Victor Strand, are in the process of killing their liver by finishing off an impressive wine collection at a record pace. The thought of starting over again… again, is a tad tedious, and the show seems to know this by following through on as many story threads as possible, leaving the characters largely with an unpleasant meteorological predicament by the episode’s end. Most of the hour, then, is spent pairing characters off, the strongest of which wind up being, unsurprisingly, Morgan and Alicia, and Victor and John. Debnam-Carey has long been one of the most engaging stars of the show, and now, with Dickens and Dillane no longer around to steal the spotlight, she’s able to build an engaging rapport with James. 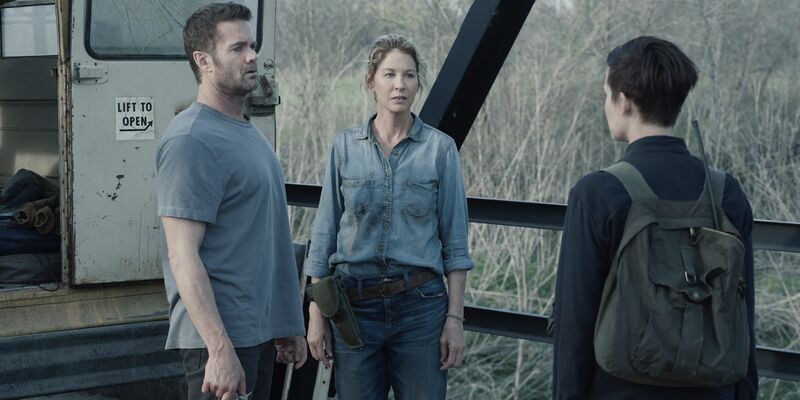 The same is true of Domingo and Dillahunt, as those two are the rare performers who can make even the driest Walking Dead material seem at least somewhat engaging. Case in point: John’s one-sided conversation with the cipher known as Charlie (Alexa Nisenson) isn’t the expositional slog it could have been, thanks entirely to Dillahunt’s onscreen presence. Additionally, Domingo makes hay with a sight gag wherein Victor tussles with a walker while Luciana zones out, listening to records at a volume that’s unsafe for the zombie apocalypse. Though it goes easy on narrative propulsion, ’People Like Us’ is at least single-minded in its efforts to reconstitute the show’s core cast into something that more closely resembles its bigger sibling, and affords Fear the Walking Dead an opportunity further demonstrate the value of Morgan’s status as the show’s ostensible lead character and, more accurately, its moral center. The understated nature of the hour may leave some viewers wanting a lot more. That’s certainly understandable, but the promise of a hurricane and the problems that may arise as the storm runs its course is enticing enough that, despite the low-key start, the idea that some excitement will blow through in the weeks to come isn’t too far fetched a notion. Fear the Walking Dead continues next Sunday with ‘The Wrong Side of Where You Are Now’ @9pm on AMC.